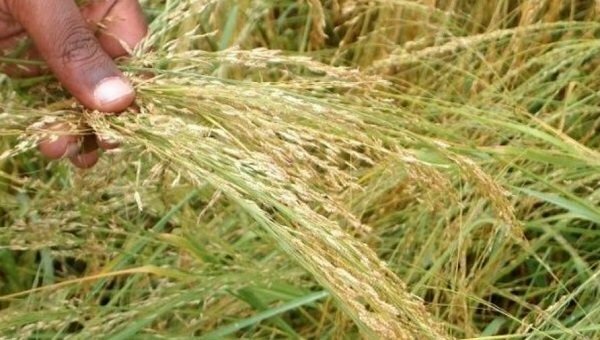 Did a Dutch Company Engage in “Bio-Piracy” by Patenting Teff, Ethiopia’s National Grain? A “patent” is a type of license issued by a government to an individual or corporation granting sole right to use and exclude all others from making, using, or selling an invention, a product or a process. There are three types of patents: utility/invention (e.g. personal computer by Steve Jobs); design (Apple’s touchscreen) and plant. To be granted a patent, the invention, design or plant must be “novel” (new), non-obvious (be inventive or involve significant inventive step and useful (e.g. have industrial, agricultural, etc. application). A plant can be patented if it is a new variety of plant or represents a significant engenering of an existing seed to make it, for instance, insect or disease resistant or require less water to grow. Such “engenered” plants are generally called “genetically modified organisms” (GMO). Among such “organisms” on American grocery store shelves include seedless watermelons, grape tomatoes, tangelos and baby carrots. In 2003, a Dutch company obtained two patents (for processing and preparation, not GMO) on Teff, an ancient grain (the size of poppy seeds) unique to Ethiopia and comes in a variety of colors from white to red to brown. The Netherlands Patent Office issued the Dutch Company “registration patents”, which does not require substantial patent examination as is the case in the U.S. In the Netherlands, a registration patent is granted if certain formalities are fulfilled and is examined in court only if a dispute arises in relation to the patent granted. It appears that is what happened with Ancientgrain’s Teff patent. Teff is considered a “super food” and has become increasingly popular in the West. Some entrepreneurs such as Ancientgrain see considerable profit potential in Teff. In 2014, a Dutch company known as Bakels Senior sold Teff bread flour on its website. Ancientgrain, the holder of the patents, sued Bakels for patent infringement, demanded a stop to the sale and obtained “prejudgment attachment”, a special legal proceeding in which the plaintiff secures compensation before trial. Ancientgrain defended its patent on various grounds: 1) It had created a new method (milling) of processing ripened teff meal and created a new product by mixing teff flour with other crops such as potato, rice maize and Quinoa. 2) Its method of leavening, kneading and heating (cooking) is new and overcomes the “instability” of traditionally (Ethiopian-style) prepared injera (bread) which has dough that does not rise and tastes sour. 3) Its teff is new because it is gluten-free and has larger grain size compared to Ethiopian teff. Simply stated, Ancientgrain wanted a monopoly on the burgeoning global teff market by defending its Dutch registration patent. The Dutch court invalidated Ancientgrain Teff patent on the grounds that it lacks novelty and inventiveness. Creating a process for mixing different grains with teff, preparing dough in a certain way and cooking it in a particular way cannot be patented. In other words, using wheat flour to make French bread, multigrain or brioche cannot be patented. Ancientgrain was just using a different recipe for the same teff flour with minor changes. Apparently, Ancientgrain has also secured registration patents in Italy , Australia and other countries. What is the likelihood Ancientgrain will be successful in defending its patents in other countries. However, the Dutch teff patent case raises a much larger issue of biopiracy, an activity that is increasing in scope worldwide. Bio-pirates masquerading as researchers and research organizations rip off biological resources from developing countries without official authorization to Western countries, patent them and sell them with exclusive rights. Africa has long been a victim of bio-piracy rip-offs. In my opinion, what Ancientgrain did with its teff patent registration is nothing more than bio-piracy. For over a quarter of a century, many countries have tried to protect their bioresources by legislating consistent with the 1992 Convention on Biological Diversity. The aim of the Convention is to promote conservation of biological diversity, sustainable use and the fair and equitable sharing of benefits arising from genetic resources. A central aim of the Convention is to protect developing countries from bio-pirates. Ethiopia signed the Convention on June 10, 1992. I am not aware of any action taken by the former regime that was in power for 27 years to protect our bioresources consistent with the 1992 Convention. It is highly unlikely that regime of ignoramuses was even aware of the Convention. The Government of H.E. Prime Minister Dr. Abiy Ahmed should enact appropriate legislation consistent with the Convention to protect the hundreds of plant and animal species unique to Ethiopia. But the responsibility of environmental conservation and preservation does not fall only PM Abiy’s Government. I would indeed argue that the lion’s share of responsibility for environmental stewardship falls upon Ethiopia’s Abo Shemanes (Cheetahs, younger generation). As an environmentalist and proud tree hugger, I have always had deep concern for environmental conservation in Ethiopia. I am proud of the fact that Ethiopia is home to many species of plants and animals that cannot be found anywhere else on Earth. But many of them are endangered. It is my dream to see the day when an Ethiopian youth environmental movement shall rise and plant 110 million trees (one for every Ethiopian) and join hands to save our endangered species!!! Editor’s Note : This article was published first on Almariam Blog.